SpaceX is getting set for a big launch on Monday that would send a very important telescope into space. SpaceX is about to launch a rocket that will send a critically important new telescope that will be used in NASA’s growing search for exoplanets that could host life. 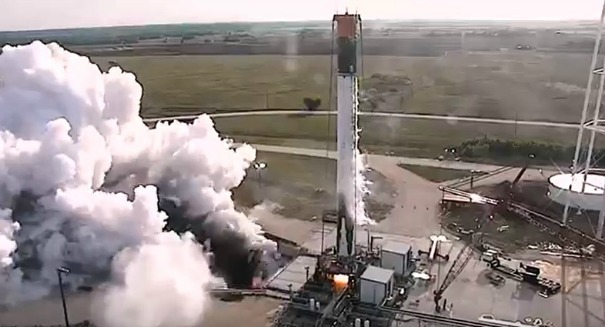 The launch is set for Monday, April 16, and the payload will be sent into space on a Falcon 9 rocket after the company completed a static fire of the rocket last Wednesday at Cape Canaveral Air Force Station. Meanwhile, NASA sealed the Transit Exoplanet Survey Satellite (TESS) into its payload fairing as the agency gets ready to put it on top of the rocket. TESS arrived back in February after being built and tested at Orbital ATK’s facility in Virginia, and the satellite will be able to search for signs of planets orbiting around 200,000 stars. It is just a taste of the incredible satellite that is to come known as teh James Webb Telescope, which be able to investigate far deeper into space than mankind ever has. The telescope will be able to cover almost the entire sky, and could lead to tremendous breakthroughs in our understanding of our universe.